The chief of logistics conglomerate Kumho Asiana Group is accelerating his move to buy back a tiremaking unit from its creditors, which are set to sign a deal to sell Kumho Tire Co. to a Chinese firm, industry sources said Sunday. The creditors of the country's No. 2 tiremaker, led by the state-run Korea Development Bank, plan to sign a deal with Chinese tiremaker Qingdao Doublestar Co. on Monday to sell their combined 42.1 percent stake in Kumho Tire. Qingdao Doublestar has reportedly offered to buy Kumho Tire for some 1 trillion won ($864 million), but the creditors did not reveal the exact value of the deal. The creditors will soon give notice to Park Sam-koo, chairman of Kumho Asiana Group, parent of the tiremaker, who has a priority option to buy back the affiliate. 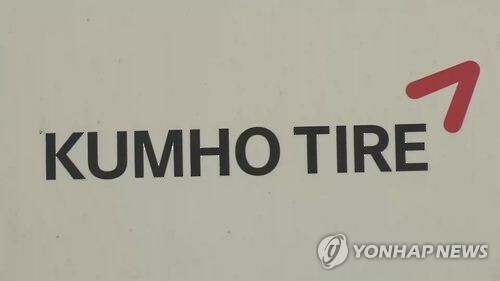 Kumho said that its chairman has already set up a special purpose company to buy back the tiremaker. "Park is in close consultations with strategic investors, although nothing has been decided at present, and there are procedures to follow," a corporate source at the conglomerate said. Industry sources said the chairman would find as many strategic investors as possible to help smooth out the buyback deal. Park said earlier he has no problem in financing the deal. Park has a month to make a decision after getting the related notice from the creditors and has to offer more than Qingdao Doulestar's bidding price to take the affiliate back.